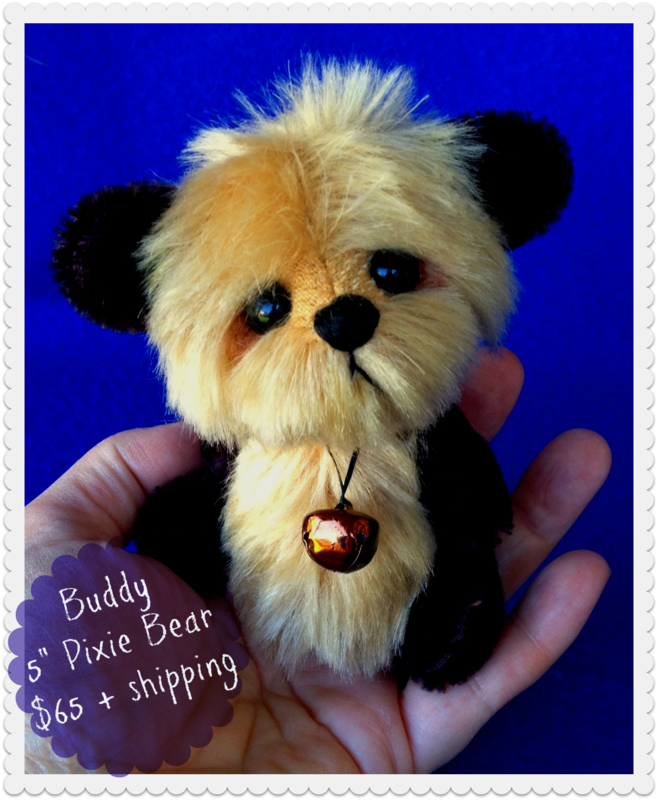 I'd love to introduce you to Buddy - one of my latest One of a Kind Pixie Bears. 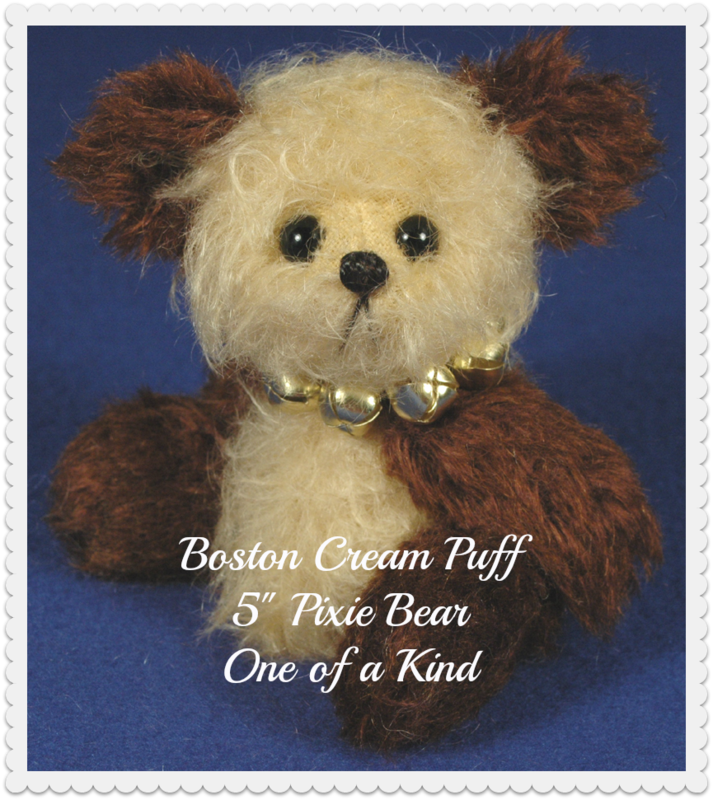 He's currently looking for his new home on Bearpile: http://www.bearpile.com/item/89754 I hope you enjoy visiting with him! 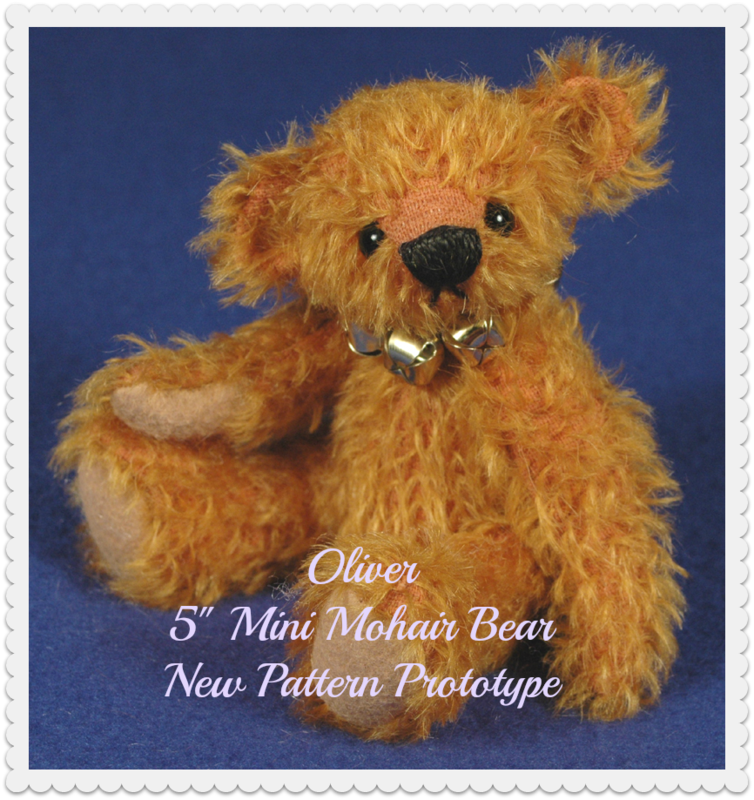 Today I have 2 new bears that are a little different from my regular style of bears. Albert ($75 + shipping) is 11" tall and is an old fashioned kind of bear from my "Olde Friends Collection", and Marco ($85 + shipping) is a 12" teddy bear that was the prototype bear I created for my beginner bear making class at TeddyBearAcademy.net. 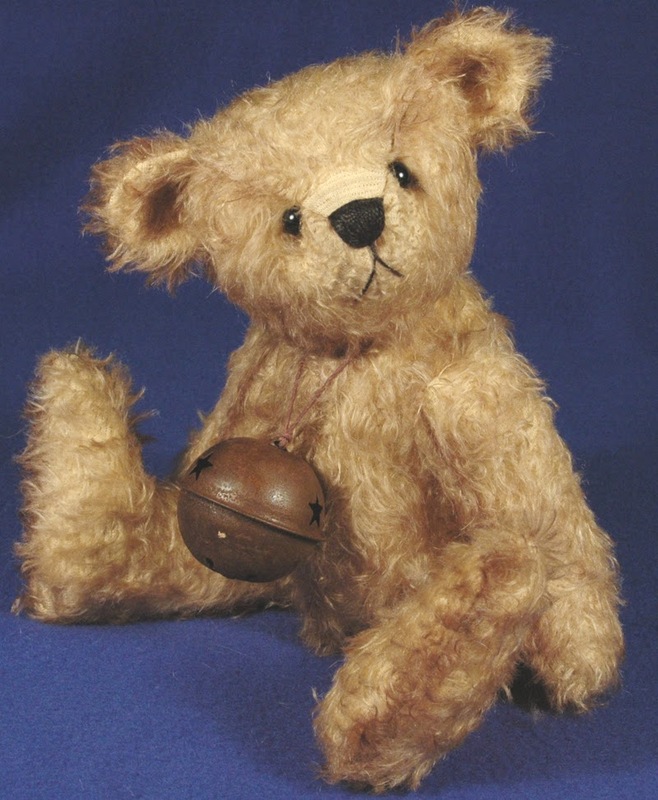 Both bears are listed on Bearpile.com. You do not need an account to adopt a bear there. Just click on either the "order" button or "Check out with Paypal" button. 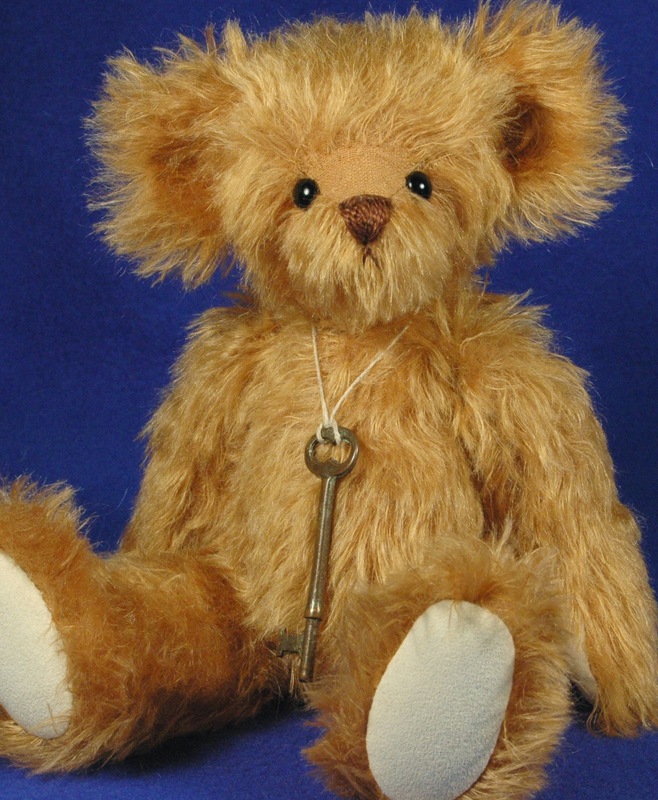 Click on each bear's photo to get to his listing. 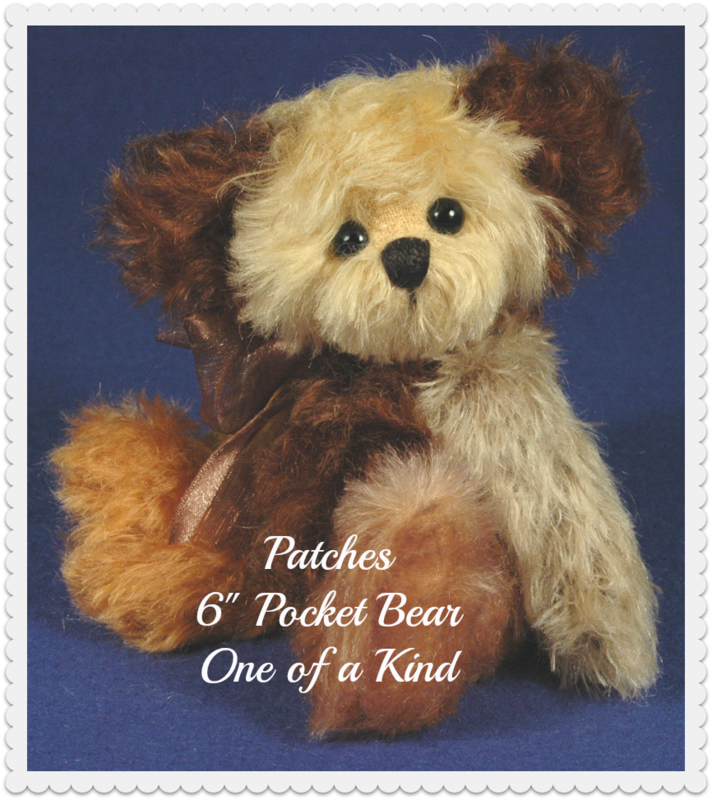 4 New Bears Starting at $24.95! 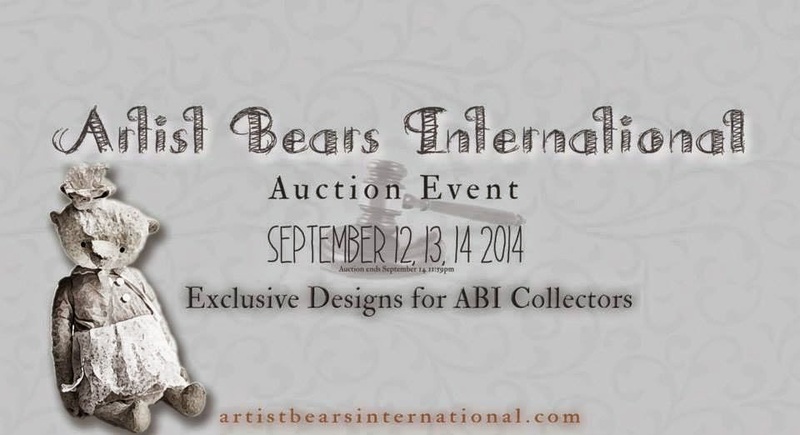 I have 4 new bears in the Artist Teddy Bears International Auction Event. The auction has started and will run until midnight PST Sunday September 14th. You do have to register to bid. There is no cost to register. The site will direct you to the registration page when you go to place a bid if you are not logged in. If you have any questions, feel free to drop me an email. Thank you for your interest in my "fur kids" and I hope you have fun with the auction! Lil Shortcake is Now on eBay! 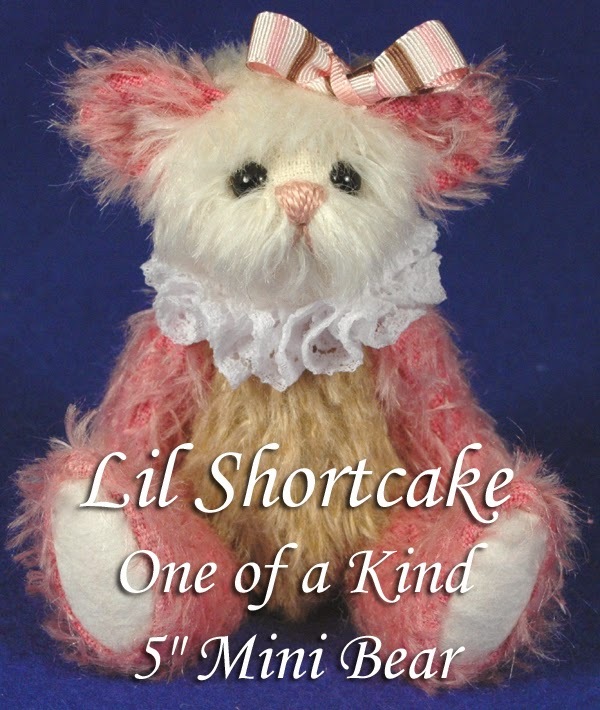 Lil Shortcake is on Ebay! Click her photo to get to her auction. I'm so excited, there is a new auction in town! 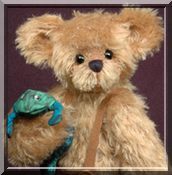 I will have several bears in the auction. 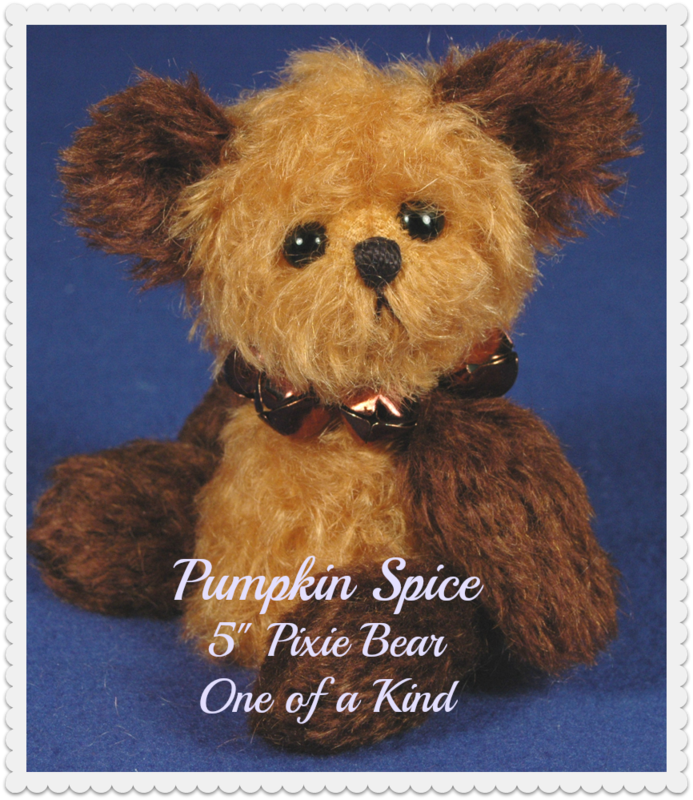 My starting bid prices will be below my regular adoption fees - and of course each bear will be one of a kind. Click "Login" in the upper left side of the page - it's in the black stripe. Create your account with the left side of the Log in page. I hope to see you at the show/auction September 12th!